On 12 November, the Cuban jazz scene suffered a heavy loss: the death of Carlos Emilio Morales who could be called the father of Cuban jazz guitar playing. As the son of a dentist, Carlos Emilio Morales attended the medical school of Havana’s university and worked as a salesman for medical products. But since he was twelve, he had also played the guitar and received formal training. 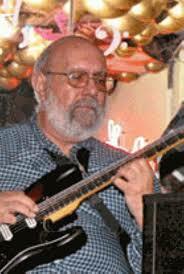 As his influences he cited Django Reinhardt, Barney Kessel, Charlie Byrd, Tal Farlow and Wes Montgomery. At the age of 20, he started his professional career in the orchestra of the Teatro Musical de La Habana. Eight years later, Carlos Emilio Morales was a founding member of the Orquesta Cubana de Música Moderna where he met people like pianist Chucho Valdés, trumpeter Arturo Sandoval and saxophonist Paquito D’Rivera. 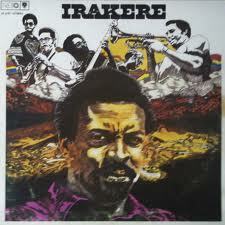 In 1973 they started what was to become the greatest jazz group in Cuban music history: Irakere. 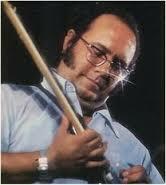 In a certain way, Carlos Emilio Morales was Cuba’s equivalent to Freddie Green, the legendary Count Basie guitarist. Morales never recorded an album under his own name and he almost never played a solo, but he was highly valued among musicians for his supporting skills and by music students as a brilliant guitar teacher. Apart from his work with Irakere, he performed with international greats like Dizzy Gillespie, Michel Legrand, Chick Corea, Ronnie Scott and Josephine Baker. Carlos Emilio Morales died at the age of 75 and was buried on the biggest cemetary of the Americas, the Cementerio Cristóbal Colón (Christopher Columbus Cemetary) in Havana.